When it comes to aquariums, the most important piece of equipment is the filter. No matter what fish or plants you have, you still need to pay attention to this element. In this way, the water will be always clean and chemically balanced. At the same time, a good filter means you will not have to change the water too often nor need to worry about increasing water parameters. There are a multitude of different filters to choose from that can be tricky to get the one that fits your needs entirely. 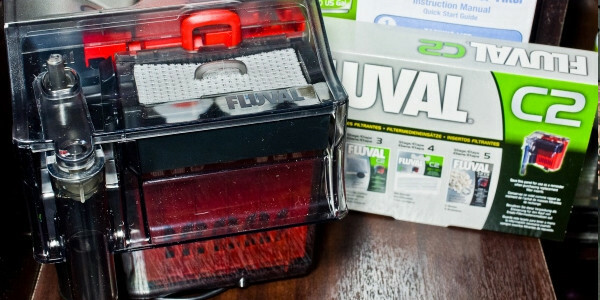 One of the devices worth having is the Fluval C Power Filter; here are some details to suggest why it is worth investing in this filter. Filters utilize diverse materials for filtration as well as different systems. Some of the materials can alter the parameters of the water, which may leave you struggling for a while to stabilize them. In addition, in some tanks you need powerful filtration, especially when you have a great deal of fish and plants. The five stages of the Fluval C Power Filter will ensure complete cleanliness, as well as a continuous water flow into your tank. Another huge advantage of this filter is the filtration rate, which is approximately 250 gallons per hour, making it capable of filtering tanks large and small. Since you have to clean the filter once in a while, the foam from the mechanical filter can be removed and cleaned easily. Although you should not do this weekly because you can destroy the bacteria formed there, every few months is sufficient. The clogging indicator feature might be more important than you think. No matter how much you try to keep your Fluval C Power Filter clean, it will occasionally get clogged with fragments of plants or fish waste. You may not notice it from the outside, but the water in your tank will become dirty and toxins will spread everywhere. A simple indicator will keep the problem at bay. If the indicator is on, remove the filter and check every layer to find the clog and then simply clean it and put it back. If you want your fish to reproduce or you want to grow some sensitive plants, you will need a smaller water flow that will not disturb the water; for this factor, the adjustable filtration rate feature becomes very useful by allowing you to choose the water flow you need and let the filter do the rest of the work. 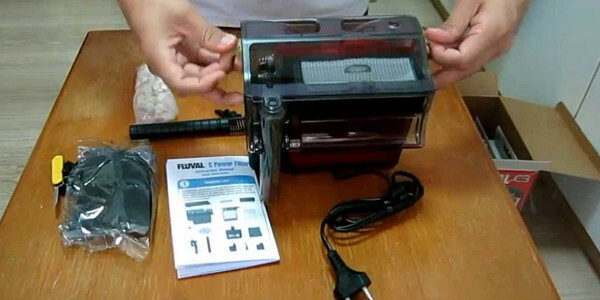 Fluval C Power Filter is a hang-on filter, which means you don’t need to use a complicated scheme to install it or remove it. Naturally, this also means that you don’t have to make a mess when you clean it or when you replace the filtering materials. The Fluval C Power Filter is a compact hang on filter that will not take up too much of your space. This is definitely a plus point especially if you are like me, not have much space for my hobby. However do not be fooled by the compactness of the Fluval C Power Filter as it packs a punch when it comes to filtering all the dirt in your aquarium. When it comes to large or extremely large aquariums, the equipment is not only anesthetic, but also noisy. This means that it’s close to impossible to place the tank in your bedroom or in a quiet room. The filter is the device that makes most of the noise; however, the Fluval C Power Filter will remove this problem from your life. Due to its compact nature, the pieces are connected so you will not hear any annoying clamor when the filter is on. The Fluval C Power Filter is definitely a product worth buying! 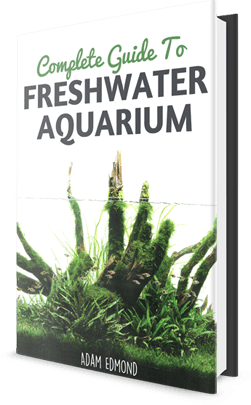 All of its features provide aquarists of all sizes the opportunity to enhance his or her tank with a product that provides multiple filtration stages, quiet, compactness, and more. It is the best investment you will ever make. Click here to check on the price or here if you want to find out more about the filter.